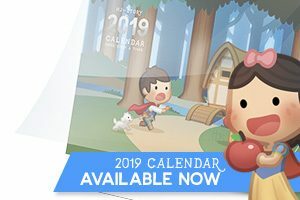 Upcoming news & HJ-Store is finall back online! 30% OFF EVERYTHING WITH CODE “REOPEN30” DURING CHECKOUT! 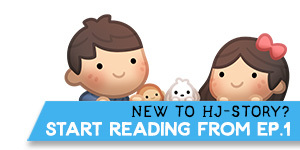 For all those that’ve emailed us about the Vol 123 set, the HJ-Store is back online! Until Aug 15th, get 30% OFF whole order with code “REOPEN30” during checkout*. *Coupon code not valid for Hardcover 123 Set and Stationery Gift Set. It’d been almost 2 month of silence from HJ-Story and for those that did not know, Kate and I were on our summer vacation to Canada to visit my family, thus the lack of updates and HJ-Store being offline. We’ve finally returned home to Korea and it’s time to snap back into reality and get everything moving again! This 2 month break also allowed Kate and I to brainstorm and think about what’s next for HJ-Story. Also on the bigger end of the to-do list we’d like to work on some simple short stories / children books! More CONTESTS and GIVEAWAY! Follow us on facebook for upcoming events! Kate and I also felt that we were missing a place to really interact with my supporters and fan, so I’m thought it’d be nice to start a Patreon group, so you can access behind the scene doodles, share and discuss ideas and getting everyone involved in coming projects! Our first Instagram #HJSV3 Contest winner will be announced via Kate’s Instagram soon! 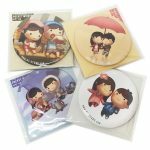 5 Winners will receive a set of Pocket Mirror! 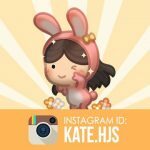 If you haven’t already, come visit and follow Kate’s Instagram (KATE.HJS) for exclusive photos and events! New Pocket Mirror, along with a new Value Stationery Gift set (45% saving!) now available at HJ-Store! Look forward to more exciting info in upcoming updates! Vol.123 Hardcover set with Slipcase now at HJ-Store! Instagram #KSVOL3 Contest Winners Announced!